Agents of S.H.I.EL.D. gets real meta in “The Force of Gravity” this week, as Simmons (Elizabeth Henstridge) points out that the team has come full circle. She’s referring to how the Centipede Serum they plan to use to save Coulson’s (Clark Gregg) life was part of their first mission as a team, but it’s also an apt metaphor for the entire season. Considering that cancellation or renewal hangs in the balance with only one episode left, it feels like we’re holding our breath for the end of the world both inside and outside the show. But our favorite team of agents keeps on fighting, just as they always have. 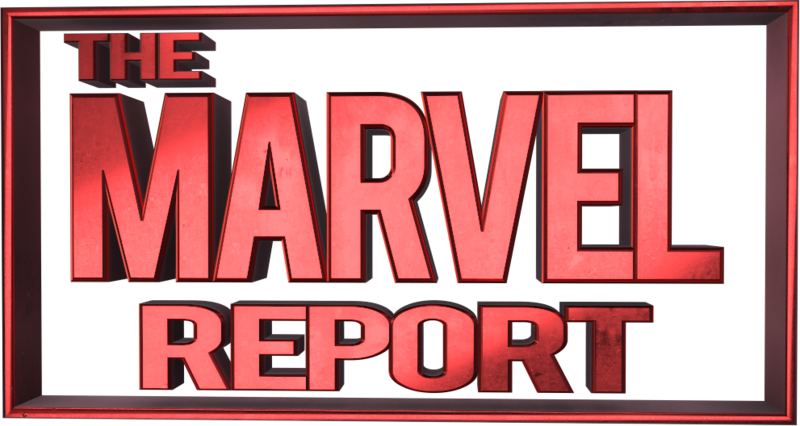 “The Force of Gravity” opens with half the team locked up in a spaceship as prisoners of war, although Daisy (Chloe Bennet) finds herself in a so-called neutral location being grilled by the head of the house Kasius. He admires her Inhumanity, trying to lure Daisy into join forces with him as a “disciple.” She still has respect for humankind, though, something she’s never lost throughout her trials and tribulations as an Inhuman. She even points to Yo-Yo as a fellow hero who would sacrifice herself for her teammates, healing the breach of their latest dispute without the need for formal apologies or even a face-to-face conversation. Unfortunately she’s not currently able to use her powers against him, given that she’s actually unconscious and daddy Kasius is only in her mind. Back on the ship itself, Coulson and May (Ming-Na Wen) continue to be watched over by Qovas. 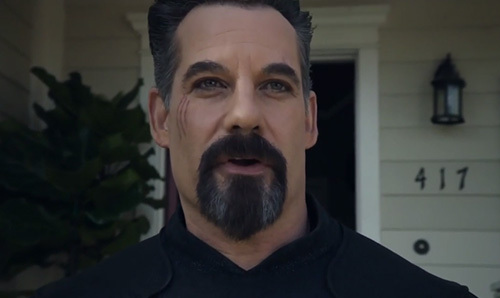 May tries to reason Coulson out of any guilt he feels for Talbot’s (Adrian Pasdar) transformation, but as anyone who knows him will attest, absolution is not his preference. Their bittersweet recollections of him mingle with the confusing status of their current relationship, yet still they don’t let their personal feelings interfere with the mission at hand. True professionals! If anything, their interactions make up the heart of the episode, reminding us how much love they share and how long we’ve watched them grow as a partnership and more. Poor Deke (Jeff Ward) barely has time to celebrate the return of oxygen flow when Talbot’s appearance ruins everything. He no longer has any respect for life, killing a fellow agent without a second thought before absconding with the Quinjet. Deke manages to warn Mack (Henry Simmons) and Yo-Yo (Natalia Cordova-Buckley) that their ex-ally is headed towards Earth, and even goes one step further is saving the day when he breaks May and Coulson out of their captivity so that they can rescue Daisy together. Despite only being around for one season, he’s one of the characters with the biggest growth arcs and an absolute delight to have on board the show. Not that Daisy needs rescuing, of course. She takes command of her powers – not to mention of her title as Destroyer of Worlds – and wakes out of her trance to fight for her life. Once the four of them are reunited, May and Coulson get into a heated debate about who gets to run and who gets to stay to handle the missiles that might otherwise attack their base. Their chemistry crackles in this scene, culminating in a kiss five years in the making against the backdrop of Coulson’s energy shield. The cherry on top, though, is Daisy fending off aliens to give her parents teammates some alone time. They split as quickly as they came together, sadly, and May and Deke handle missile redirection missile. They make for an unlikely albeit interesting team together, with her stoicism setting off his excitable nature quite nicely. It’s especially enjoyable when he has to nervously fix he machinery while she is duking it out with Qovas. Not to mention how inspired the juxtaposition of Daisy teasing Coulson about his romance is, with the latter knowing May well enough to say she’s currently having the time of her life. There is a great deal of satisfaction in watching the Confederacy ship explode, but the victory is short-lived since Coulson collapses after discovering his arm looks worse than ever. The backdrop of one of Infinity War‘s early battles raging on in New York while the Agents of S.H.I.E.L.D. race to stop Talbot adds an extra layer of foreboding to “The Force of Gravity.” One might even say it’s to the detriment of the episode, because the feeling that a different threat is looming even if they save the world from this one can’t help but creep in. Nevertheless, it’s nice to see the subtle changes undertaking the characters as they work to save humanity and Coulson. For example, Fitz and Simmons reveal they now believe they can change time – only now their goal is to succeed in saving Coulson rather than letting him die – while working on the Centipede Serum. The only problem is that their focus is divided, since they now need to devise a method to stop Talbot as well. That conversation is in and of itself indicative of another subtle shift in his worldview, and the fact that he’s opening up to Yo-Yo once more is a very good sign. At the same time, Talbot visits Creel and offers a way to silence the voices in his head. The foreboding is evident from the minute he suggests it, and soon enough he’s literally absorbing the Absorbing Man’s voices… and then his entire being. After witnessing his murder of Creel, Mack confides in Yo-Yo about their complicated history of forgiveness and asks her to let him be the one to take Talbot down for good if it comes to that. Talbot appears on his family’s doorstep, and watching him greet his wife and son is probably the most chilling moment in “The Force of Gravity.” Though George is amused by his father’s new powers, Carla isn’t so convinced. He loses control when she mentions S.H.I.E.L.D., and we’re forced to watch a scene of domestic abuse play out. It’s probably one of the few missteps in “The Force of Gravity,” as it reinforces the sometimes subconscious notion that women are disposable while sons specifically are a legacy to be protected. Talbot isn’t any kind of role model, but his instinct remain gentle with his son while manhandling his wife is particularly gallin. He nearly absorbs her as well until Mack and Yo-Yo blessedly arrive on the scene, although they’re far outmatched against Graviton’s new abilities. Even Yo-Yo can’t get near Talbot with her powers, and eventually she and George simply have to watch as Talbot flies off. But to do what? “The Force of Gravity” ends with Coulson’s condition accelerating and worsening, while the centipede serum is too slow at the moment to save him in time. Then there’s the fact that the serum is also needed to stop Talbot, and there isn’t enough of it to do both. Yo-Yo’s prophecy is finally coming to pass: either the team saves Coulson, or they save the world. And let’s not even talk about Talbot kidnapping Robin and her mother in order to bring about the end of days we’ve been dreading all season long. How Agents of S.H.I.E.L.D. will wrap this story up in just one episode is anybody’s guess, but it’s certainly been a wild and exciting ride.